Supporters of Tent City 3 moving to the University of Washington campus next year hope to raise awareness about Seattle homelessness and affect city wide social change, but not all students are on board. Now that the resolution to host Tent City 3 has passed in the Graduate and Professional Student Senate, Associated Students of the University of Washington Senate and the Faculty Senate, the official decision lies in the hands of President Emmert. With all of the recent support rallied from student advocates, a Facebook group opposing the encampment’s move to campus has come forward to show Emmert that UW students are far from united, despite the ASUW Senate endorsement. Hunter Marshall, a junior in the Health Services class that first proposed moving the tent city to campus, said that he believes that students are so divided because of misconceptions about homelessness. “What I don’t understand is why homeless people are seen as a homogenous group,” Marshall said, speaking of the stereotypes he believes many students maintain. Shortly after the ASUW approved the resolution, Barr created the group on Facebook that opposed Tent City 3 on campus in hopes of swaying Emmert’s final decision. Barr said that his objection to the homeless encampment on campus is more about an inconsistency in values with many members of the tent city lacking work ethic. After speaking with Tent City 3 residents, Marshall said he found the atmosphere was actually more conducive to encourage homeless people to find jobs. He said students should look to all of the benefits from Tent City 3’s month long stay at Seattle University in 2005. Data accumulated after the tent city’s stay at Seattle University found that 17 different classes visited the camp and nursing and law students organized and operated a health desk and legal clinic on site. Marshall and Nancy Amidei, a former faculty member of the School of Social Work, said that the same types of opportunities would be available to UW students. She said there are many opportunities to incorporate tent city into faculty members’ curriculum. But Eileen Bartell, a UW alum and parent of a current student, said that she would tell parents of prospective UW students to encourage their children to attend another 4-year university without a tent city. Despite concerns of some parents and students, Marshall said that in addition to overturning negative assumptions about homeless people, hosting tent city next year will provide numerous educational opportunities to students. He spoke with several faculty members who said if tent city passed, they would incorporate the real life application into their curriculum. Marshall said that the two possible locations discussed so far are the old archery field or the parking lot by Condon Hall. He said both locations are rarely visited or even passed by students. The use of tuition dollars was an issue for freshman Curtis Howell as well. “I pay money to attend a university not a soup kitchen,” he said. Marshall said that regardless of Emmert’s decision, he hopes to set up an open dialogue for students, staff, and community members. This week members from the Health Services class formally asked President Emmert for to create committee that would make logistical decisions about tent city. They requested a decision by the end of the quarter. What is a 'tent city'? A tent city is a temporary homeless housing facility constructed using tents. 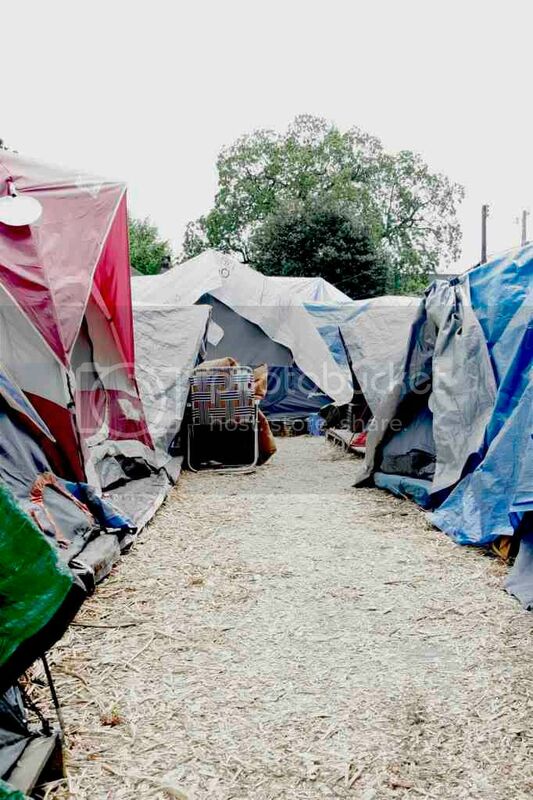 In Seattle, up to 100 residents may reside in tent city, known as TC3. According to Seattle's Social Services Unit, the local tent city is on average at least 75 percent full. At least half of the residents hold full-time jobs. Because there are no homeless shelters in Seattle that will house families together, about one-third of residents are families (husbands and wives). There are no children in Seattle's Tent City. Drugs, alcohol or violence is not permitted in Seattle's tent city. Where is Seattle's tent city located? Seattle's Tent City 3 rotates quarterly (at least every 90 days, by requirement) between locations in Seattle, Tukwila, Shoreline and unincorporated King County. Most are hosted by churches, though the tent city itself is entirely self-managed. 1. No drugs are permitted. 2. No alcohol is permitted. 3. No weapons are permitted. 4. All knives over 3 and one-half inches must be turned into SHARE/WHEEL for safekeeping. 7. No trespassing into private property in the host neighborhood is permitted. 8. No loitering in the host neighborhood is permitted. 9. Disturbing neighbors is not permitted. 10. No verbal abuse, intimidating remarks, yelling or degrading remarks against member(s) of the host or the host neighborhood is permitted. 11. No verbal abuse, intimidating remarks, yelling or degrading remarks between member(s) of SHARE/WHEEL is permitted. 12. No littering on the encampment site or in the host neighborhood is permitted.